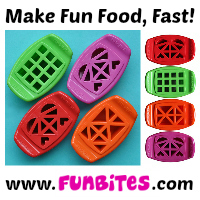 Biting The Hand That Feeds You: MOMables Monday - Cracker Stackers! Again. Because We Love Them! 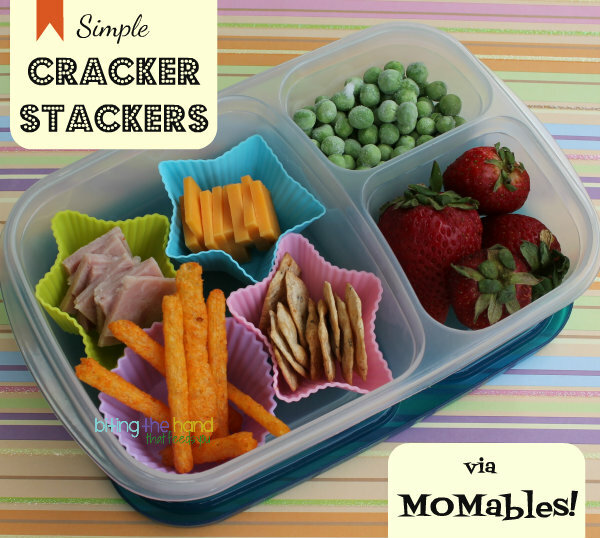 MOMables Monday - Cracker Stackers! Again. 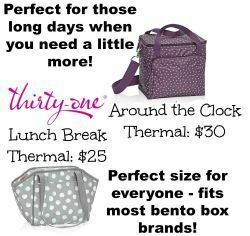 Because We Love Them! 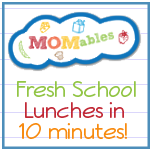 As always when I'm stumped for ideas or need to use up a specific ingredient fast, I turn to my weekly MOMables menu plans for inspiration! 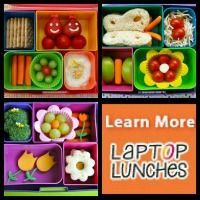 Most people use them to plan out their weekly lunches, and even a few dinner ideas, with shopping lists and recipes and everything. But I'm not even organized enough for THAT! Ha! So I just save my menu files and go through them when I need ideas. 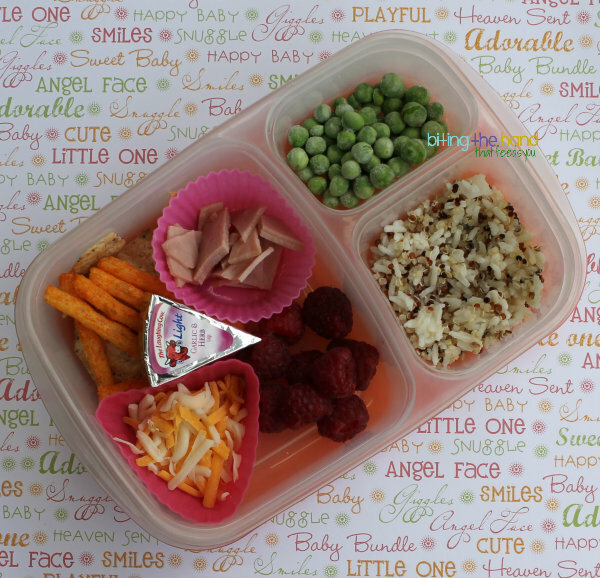 I cut some uncured ham and cheddar cheese using my FunBites Cube It cutter - it makes them the perfect size for the Van's gluten free crackers. And into the silicone star cups they went, to keep them separated. I put some Snikiddy Ketchup "Fries" chips in a round muffin cup, mostly to fill that empty space. Baby really enjoyed dipping her Van's gluten-free "everything" flavored crackers into the soft Laughing Cow cheese spread. And she loved it when I spread some on her crackers for her as well. 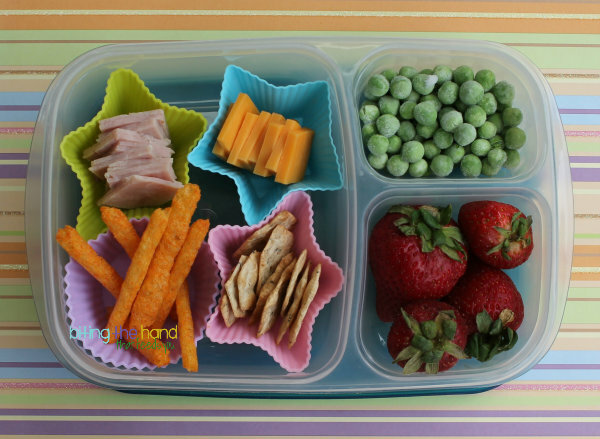 I put the cheese shreds into a triangle muffin cup because I don't use those as often, so I'm not running out of the ones I might need for a theme in Z's lunches. We have quite the backlog of dirty muffin cups, now that there are three of us vying for the same resources almost every day!